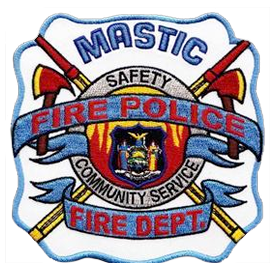 The Mastic Fire Department Committees are an integral part of the work that we do for the community. Our committees are made up of the dedicated volunteers from our department. The only exception to this is our Ladies Auxiliary, which is made up of Department members’ family. These committees all have a special function and design. Some provide functional support, and some provide response duties. Whatever the function of the committee, they are an important part of our operation and the Department would not be complete without them. Our Fire Police squad consists of about 20 volunteer members who receive special training, and support firefighting efforts at emergency incidents by performing traffic and crowd control duties. Fire police are exterior firefighters and may be called upon at fire scenes to perform any of the duties of an interior firefighter except those that require a self-contained breathing apparatus. On occasion, fire police also assist regular police: they perform road closures, traffic control, crowd control at public events, parade details, and many other miscellaneous tasks as requested by the Chief or Officer in Charge at an incident. 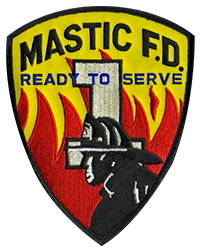 The Mastic Fire Department formed the Scuba Rescue Team in 1979. The equipment was limited and the vehicle used for responding to calls was a 1968 GMC Pick up with a utility body. The Fire District purchased a small flat bottom aluminum boat, which was propelled by oars. This boat was purchased in a local hardware store and served it’s purpose well, until its replacement in the 1992 with an inflatable 14-foot boat with a 30 hp outboard engine on it (this boat is still in service today). 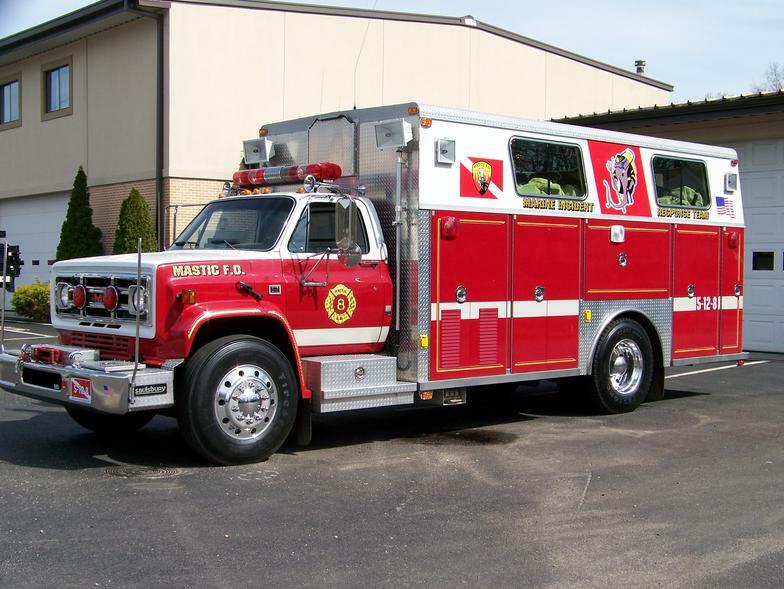 In 1991, the Board of Fire Commissioners of the Mastic Fire District purchased a used 1985 Chevrolet 4 wheel drive ambulance from the Massapequa Fire District. This vehicle provided the ability to respond off road to the locations of the water rescue calls. 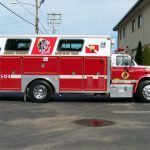 It was set up with 4 Dive gear set-ups mounted in the seat positions in the rear of the truck and was instrumental in getting divers geared up while in route to calls. This vehicle also carried much of the water related equipment to the scene. 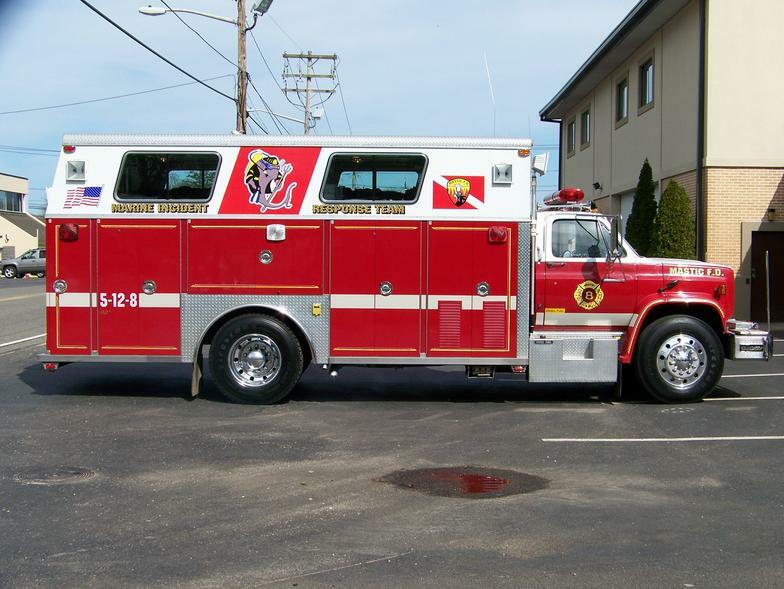 In 1997, the above vehicle was replaced when the Mastic Fire District Board of Fire Commissioners purchased a 1997 18-foot Grumman Olsen commercial step van on a GMC chassis (5-12-8). 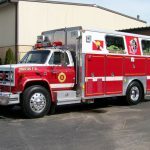 Once the Fire District had taken delivery of this truck the fire department members, working with the Fire District mechanic, designed out the interior of the vehicle, which was then fabricated by an outside vender and delivered to the firehouse as modular pieces and installed into the truck by the department members with the district mechanic. 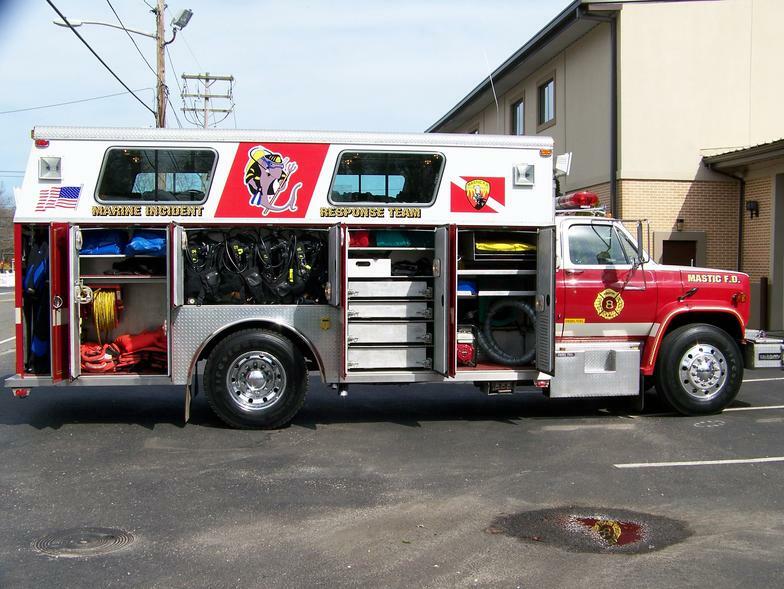 While the inside of the truck was being built the vehicle was equipped with radios, emergency lighting and lettered. The above vehicle is the current response vehicle for water related emergencies. 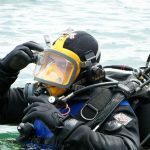 It carries 8 complete SCUBA gear set ups as well as 2 surface swimmer set ups mounted along benches in the rear of the vehicle. 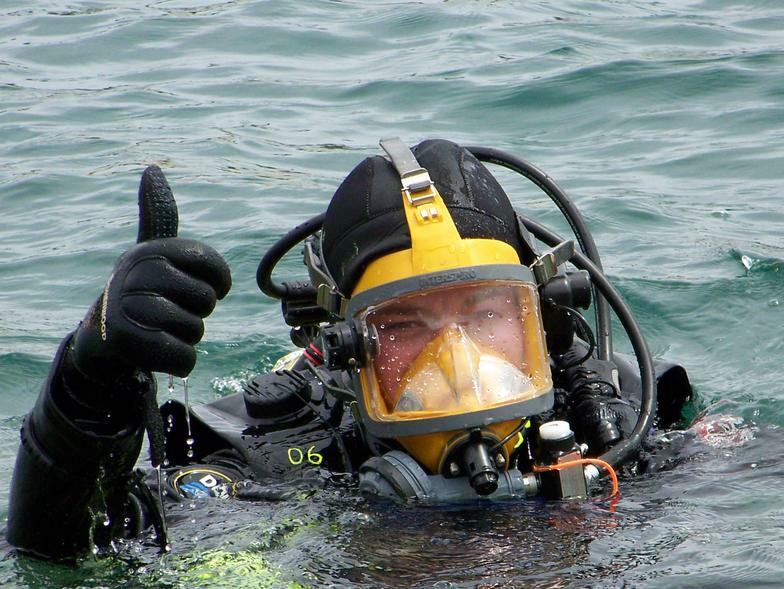 Divers are able to gear up while responding to calls and be ready to go into service upon arriving at the scene. 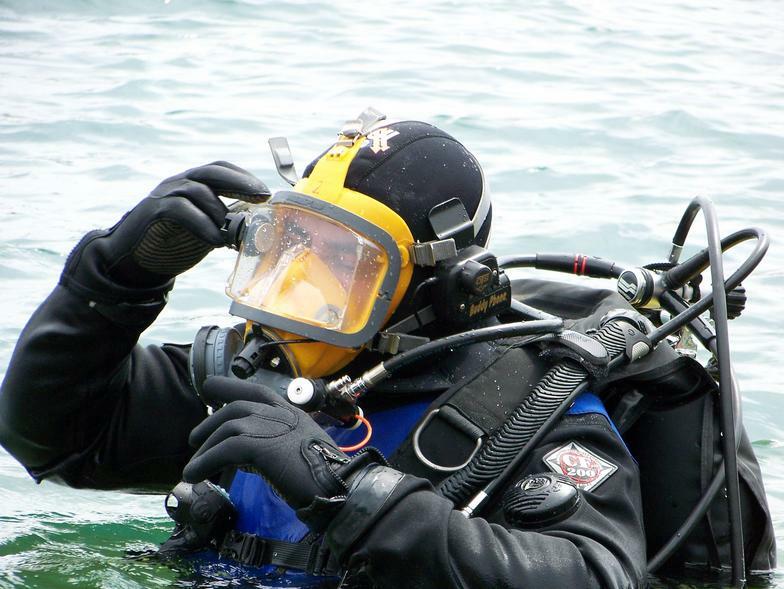 Along with the gear set ups the vehicle carries numerous lines, buoy’s, grappling hooks, spare air tanks, and personal floatation devices which are used by the department members as they provide surface support and line tenders for the divers. 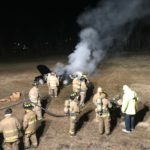 The Mastic Fire Department also responds to scenes, as needed using the Fire Department’s 1998 GMC pickup (5-12-11) and a 2002 Ford crew cab pickup (5-12-11), as well as the Rescue/Command Post truck (5-12-10) and the Ariel truck (5-12-14) as requested. 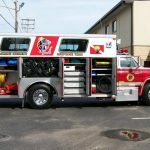 In 2001 the Mastic Fire District realized that there was a need for a larger boat in order to serve the growing use of the waterways in and around the Mastic Fire District. 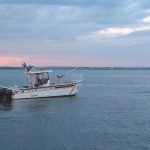 After much research, the Board of Commissioners ordered a 28-foot aluminum hull boat (5-12-26) that was built by Thomas Marine and delivered with Twin 150 hp outboard motors. This boat is also equipped with a 550gallon per minute Hale pump which has a mounted Deck gun towards the bow (front) of the boat and also has 2 outlets which can be used for inch and three quarter hand lines. 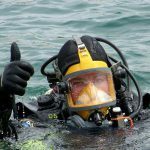 The Scuba team currently has 18 certified scuba divers, which are supported by Fire Department members who respond with the divers to calls. 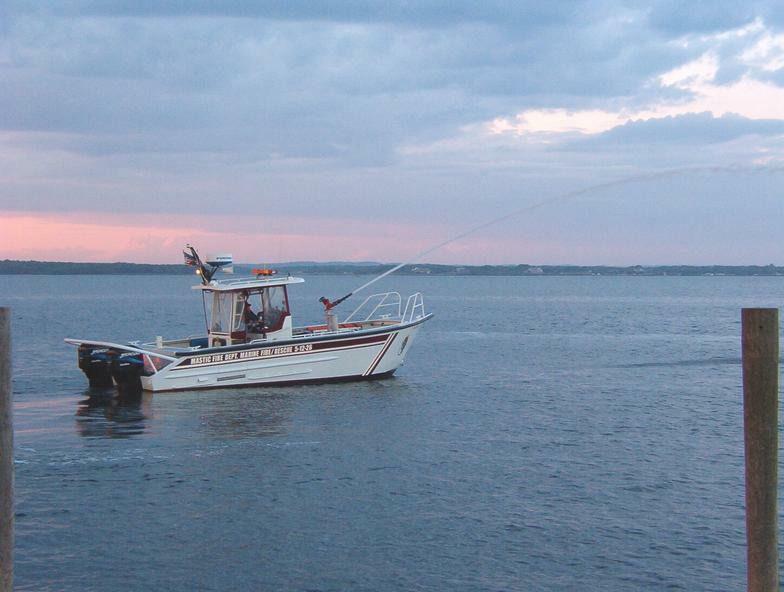 Fire department members that have successfully completed boat training operate the boats. 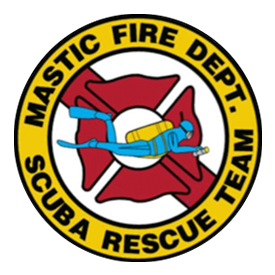 The Mastic Fire Department Scuba Rescue Team has grown within the Fire Department, and has only been able to do so by the continued support of the Mastic Fire District Board of Fire Commissioners, both past and present, who strive to train and equip the Mastic Fire Department members for any and all types of emergencies which may occur with in the area protected by the Mastic Fire Department. Currently the team is known as MIRT (Marine Incident Response Team) they continue to train and support the community by responding to any Marine incidents on our waterways. 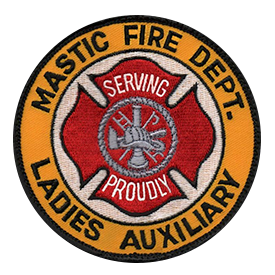 The Ladies Auxiliary is a proud group of women organized to support the firefighters who volunteer within our community. At its largest, membership swelled to over 73 people in 2015. 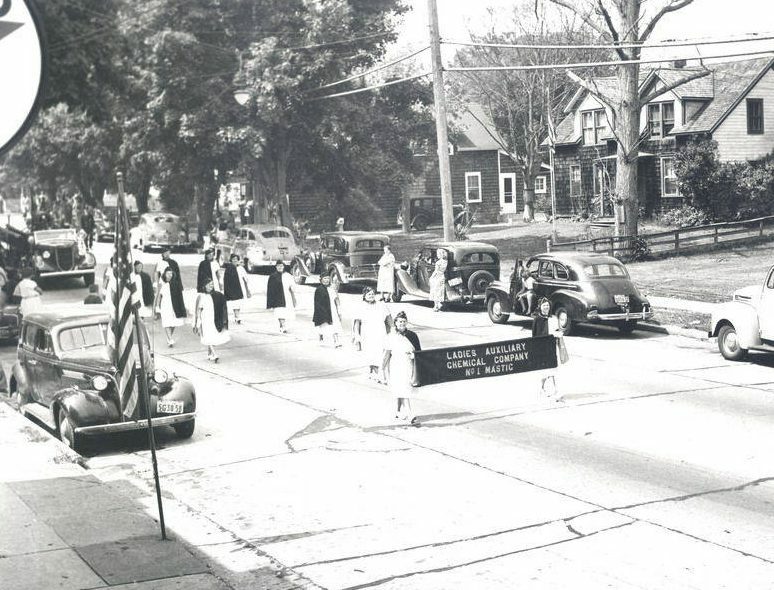 The group was first organized on March 15, 1945 by wives, mothers, daughters and sisters of the fire department members. 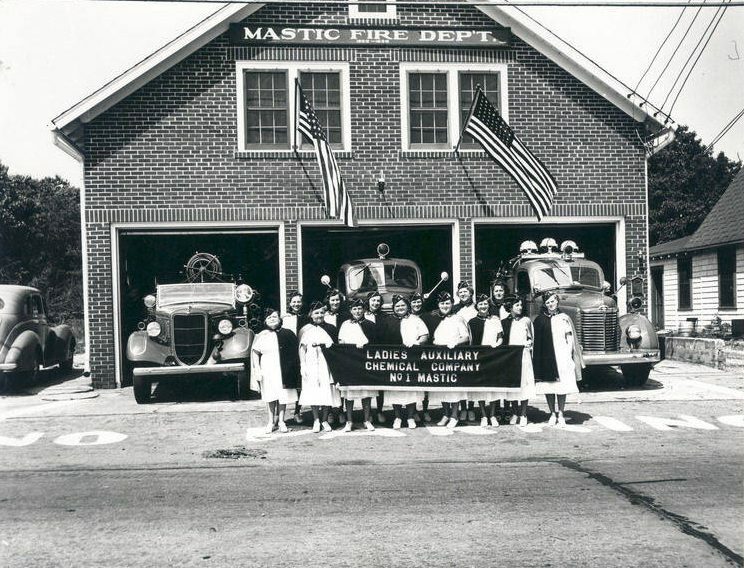 One founding member was Marie Norris, who widowed, but later married an ex-commissioner and life member of the Mastic Fire Department, Kurt Vogel. 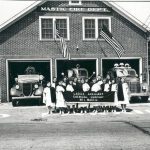 The family legacy of service to the Mastic Fire Department continues today with the introduction of other daughters, sisters and mothers of firefighters. 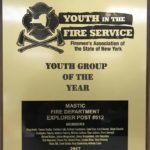 Fire & Emergency Service Exploring is open to young men and women ages 14 (and completed the 8th grade) through 17 years old with an interest in learning more about volunteering in Fire Service. 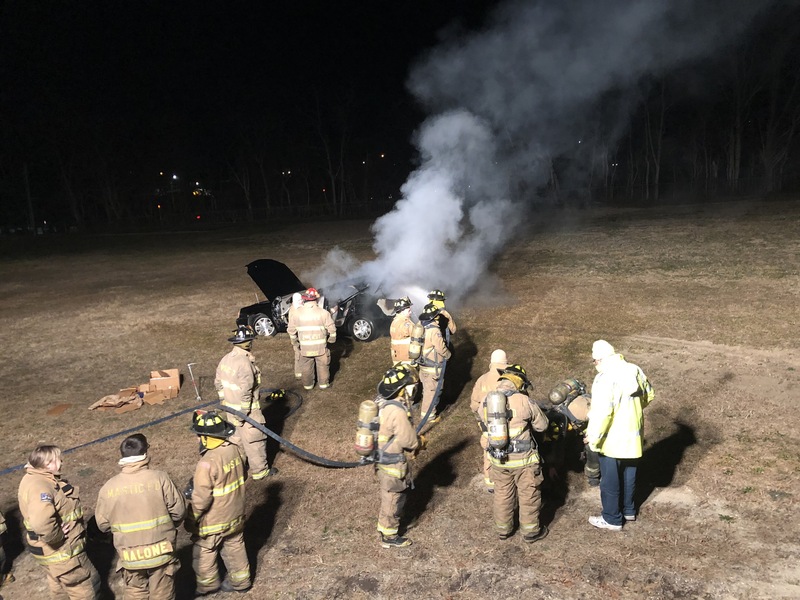 Fire Services Exploring is a hands-on program that exposes participants to many experiences, leadership opportunities, and community service activities. 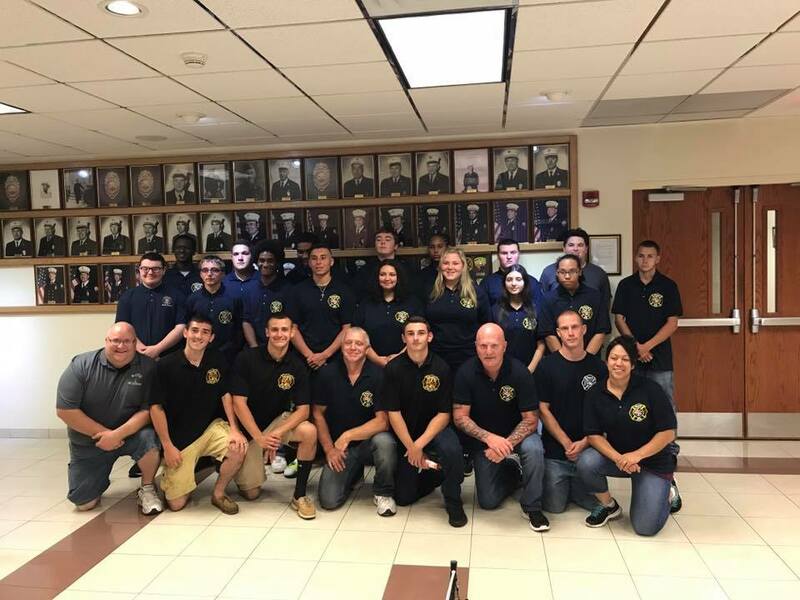 The primary goals of the program are to help young adults choose a career path within fire and emergency services, and to challenge them to become responsible citizens of their communities and country. 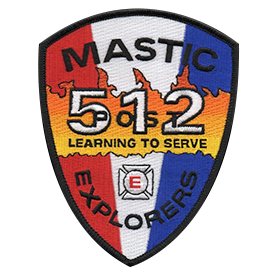 The Mastic Fire Department Explorers Post 512 originally began as the Mastic Fire Department Juniors, The Juniors Program was founded in 1980. The Juniors Program transitioned to the Explorers program in 2004/05. One of the first orders of business was the program needed a set of By-laws, Then needed Advisors to run and oversee the program, and lastly being a committee of the Department the program had to be approved by the membership. 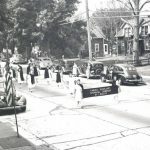 The first Explorers program consisted of about 8 people 7 boys and 1 girl, Among the original 8 a set of Officers had to be put in place to establish a Chain of Command within the group, A Captain, 1st Lieutenant, and 4 Second Lieutenants. The program is educational as it consists of classroom training, hands on training, and community service events. The hands on drill consist of hose handling, live burns, and SCBA training. 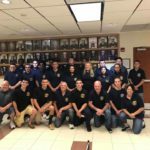 This part of the program is grooming future firefighters to become active members of the department. 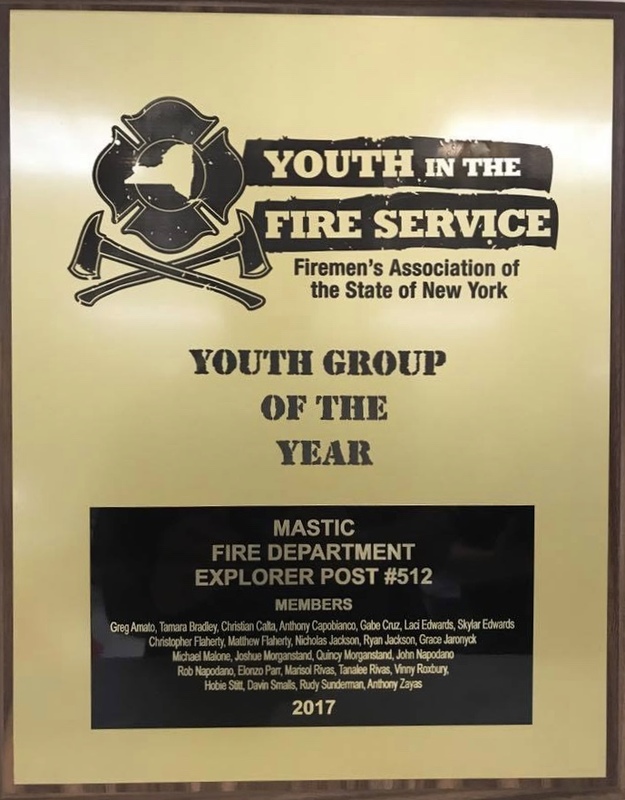 Currently there is about 25 members which 8 are girls, The current program has evolved and these members are learning almost everything a active member of the department does. They also hold many fundraisers, Still do Community service and also now do community clean up projects. Scott Rosato, Rudy Sunderman, Anthony Sunderman, Mike Guarino, Andy Ruben, George Hubbard Jr., Steve Januszkiwicz, Terry Scaffaro, John Tufano, and Jason Shiminski.